Singapore Children’s Orchestra is founded by Mr Edwin A. Brown, under the Department of Education. Musical activity resumes after World War II, with the Children’s Orchestra being renamed the Singapore Junior Symphony Orchestra (SJSO). The SJSO is renamed the Singapore Youth Symphony Orchestra (SYSO), and is now under the sponsorship and management of the MOE. The Young Musicians’ Society (YMS) is formed under the jurisdiction of to the MOE to promote ensemble music-making among youth in Singapore by way of membership in the Singapore Youth Orchestra, the Singapore Youth Chinese Orchestra and the Singapore Youth Choir. The Singapore Youth Orchestra represents Singapore in the 3rd International Festival of Youth Orchestras in Lausanne, Switzerland. The Singapore Youth Orchestra (SYO) is moved under Ministry of Education with the appointment of its first Music Director Ms Vivien Goh. The Singapore Youth Training Orchestra (SYTO) was formed as a junior orchestra to the main orchestra. Mr Lim Yau helmed the orchestra as Music Director from 1990-2002. The SYO is renamed as the Singapore National Youth Orchestra (SNYO). The SNYO is transferred from MOE to MCCY. 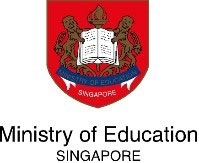 The Singapore Symphony Orchestra (SSO) sets up the SNYO Integration Office to manage the consultation and operational processes for the handover. The SSO takes full operational and management control of the SNYO. The SNYO appoints Joshua Tan as its Principal Conductor and Peter Stark as its first-ever Principal Guest Conductor.